There's a scene in "It's Complicated" where Alec Baldwin shows up at Meryl Streep's house late one night to try to seduce her. After finishing her leftover croque monsieur from dinner, he sees a bowl of ice cream on the counter. "What kind of ice cream is that?" 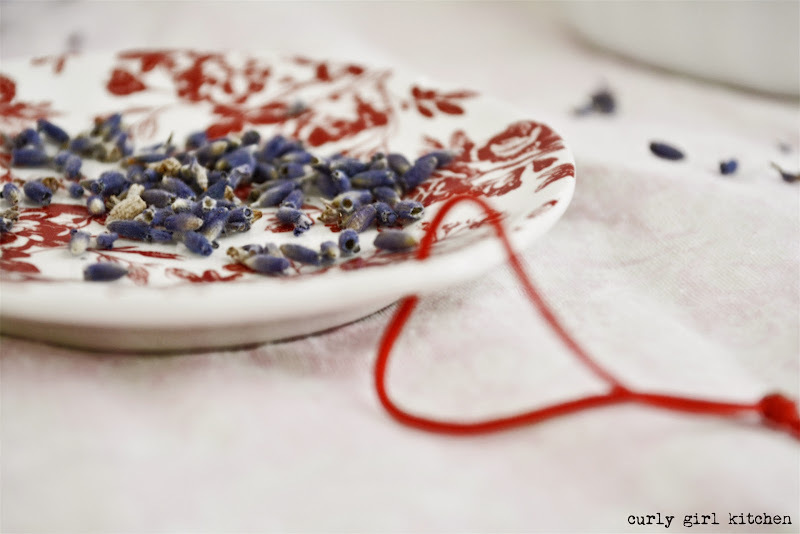 "Lavender honey," she says, with an alluring tilt of her upswept hair. 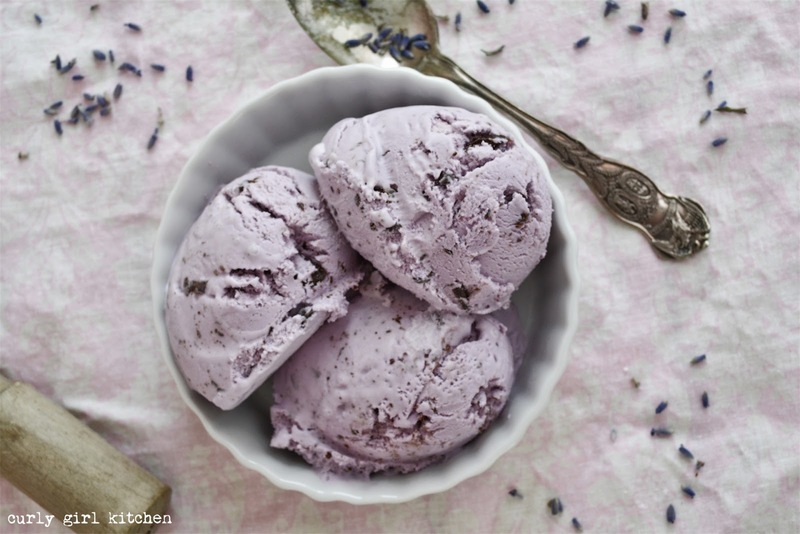 Later, while she is soaking in the bathtub in her gorgeous house, Alec Baldwin sits on the floor by the tub, eating lavender ice cream. "I love how quiet it is in your house. I have no quiet in my life. Ever." 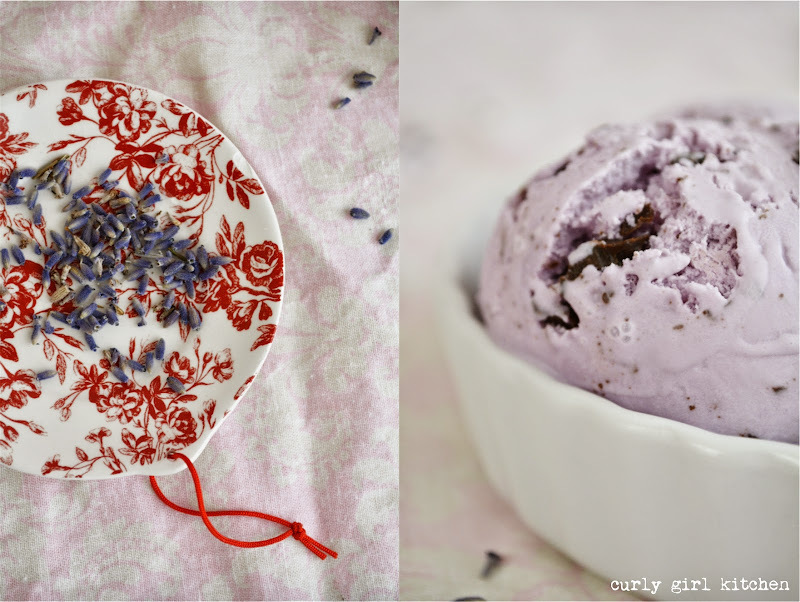 And just like that, I knew I had to make lavender honey ice cream. I have plenty of quiet in my life. Since it's just the two of us, I can't complain about not getting any time to myself, because I do get time to myself in abundance. We both do. But I'm busy, too, because I choose to be busy, with this blog, with baking, with running a baking business, with working on my photography, with a full-time day job. And currently, with so many DIY projects for our wedding. All things I enjoy, although some days, I wouldn't mind being a little less busy. I don't remember the last time I watched a movie without simultaneously editing photos or working on something for the wedding. 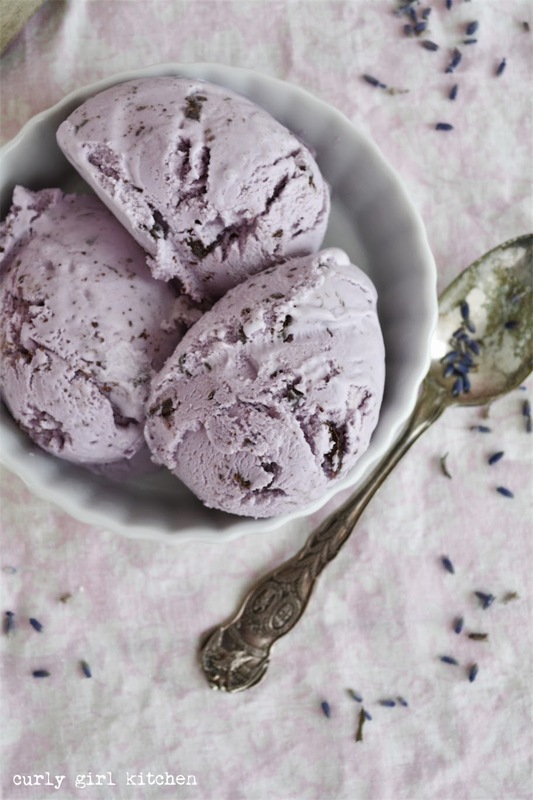 I brought home a small bag of dried lavender from Paonia, so for my ice cream, I started by steeping a few spoonfuls of lavender in cream and milk. I cooked the custard, adding egg yolks and raw honey, and let the custard chill overnight to thoroughly infuse the lavender flavor into the custard. 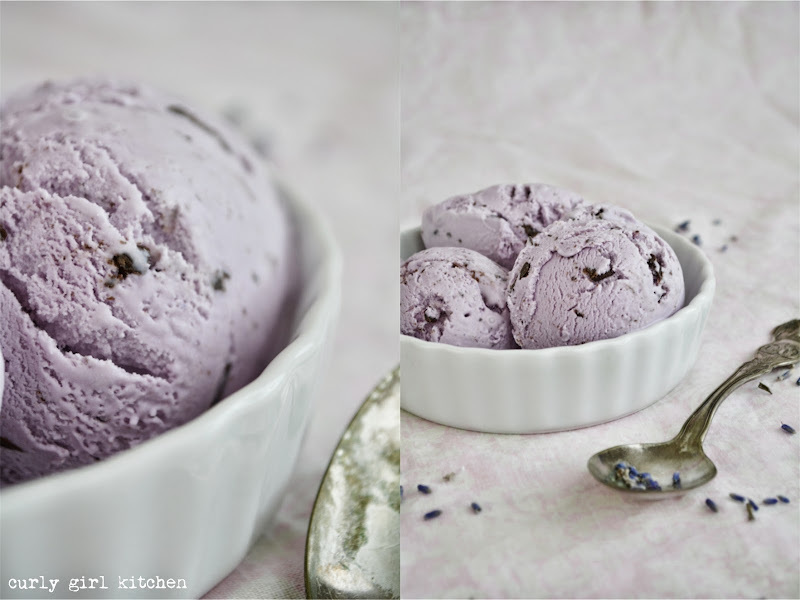 Before churning, I strained out the lavender and whisked in a little vanilla and vodka (to promote creaminess when frozen). 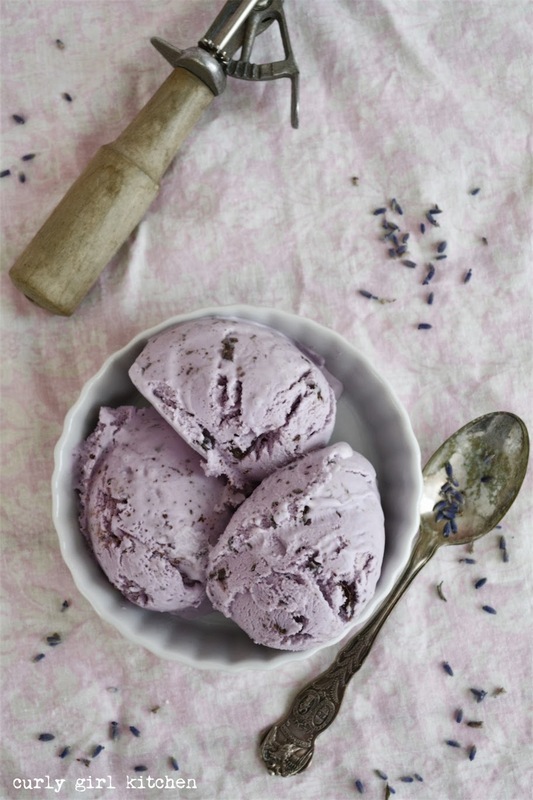 I also added a few drops of purple food coloring, because I wanted my lavender ice cream to be lavender colored, but that's just personal preference. 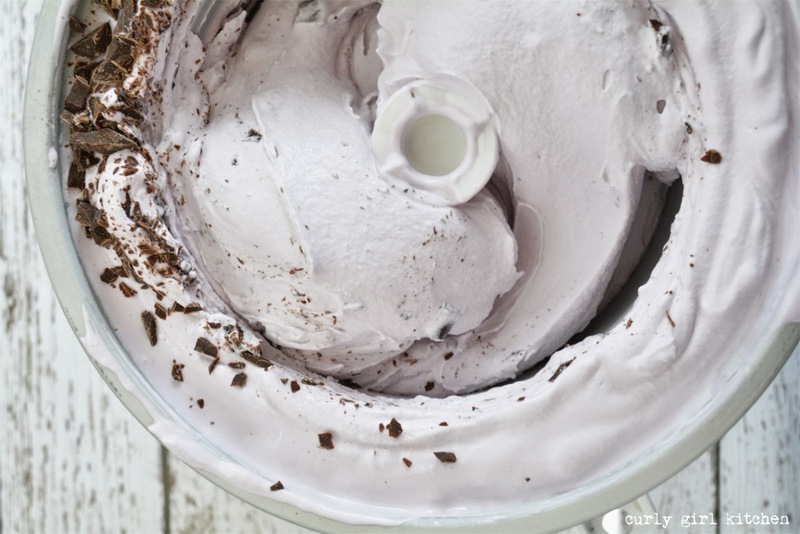 Just when the ice cream was thick and creamy from churning, I added finely chopped bittersweet chocolate. 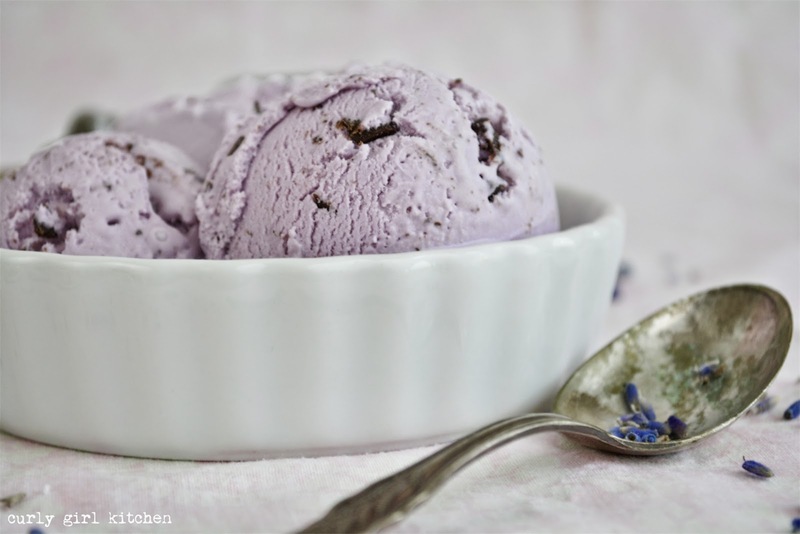 The lavender flavored the ice cream with a lovely floral earthiness that was a little unexpected, and completely unique from anything you can buy at the grocery store. 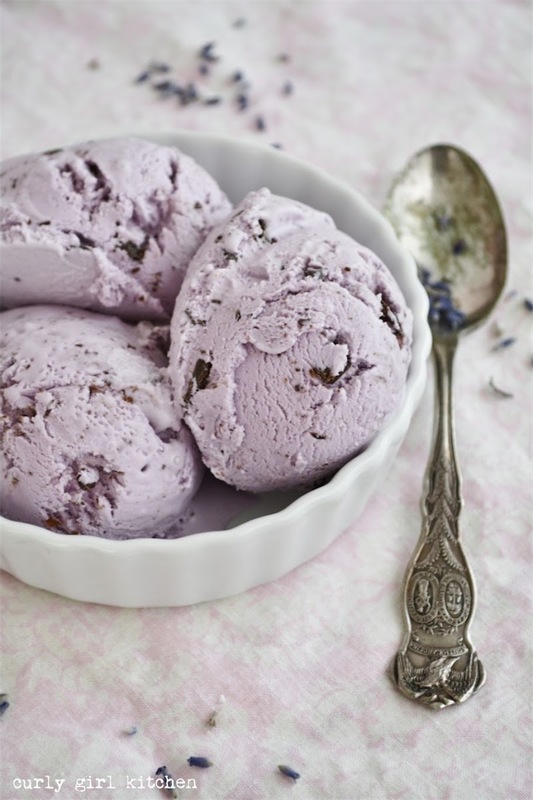 It was subtly sweet with raw honey, which complemented the lavender beautifully. 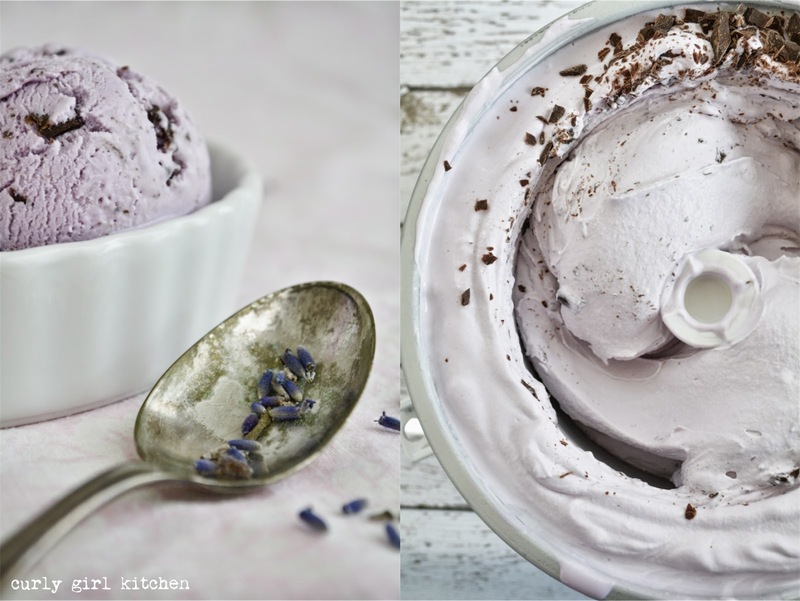 Combine the cream, milk and lavender in a saucepan. Bring to a gentle simmer, then turn off the heat, cover the pan and let steep for about an hour. Return to a gentle simmer over medium heat. In a bowl, whisk together the honey and egg yolks. Gradually whisk a cup of the hot cream into the honey/eggs to temper the eggs, then scrape the egg mixture into the saucepan. Cook the custard while whisking constantly, until the custard is thick enough to coat the back of a spoon. Remove from the heat and whisk in the vodka and vanilla. Cover with plastic wrap, resting right against the surface of the custard, and chill overnight. 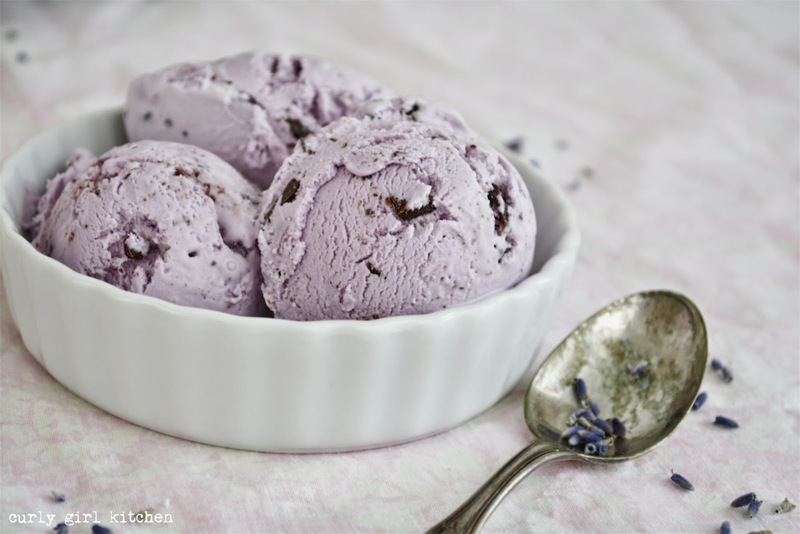 Strain out the lavender, and churn the custard in your ice cream maker according to the manufacturer's instructions. Stir in the chopped chocolate. Transfer to a container and freeze until firm, about 4-6 hours.